Photographic trick du jour: make the tiny things look huge. I really enjoy the shift in perspective this gives. 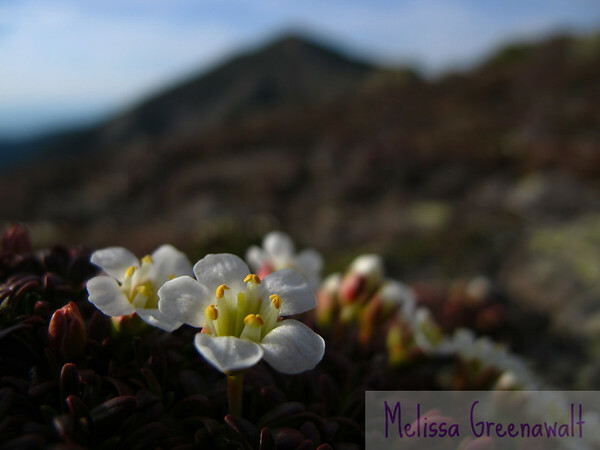 These little diapensia flowers are only about the size of a nickel (Mount Lincoln in the background is significantly larger...), and they're one of the first alpine flowers to bloom. I actually did a little botany geek dance when I got to the ridge.